In honor of Women's History Month, here are six women that you probably have not heard of that made a great difference in their time. 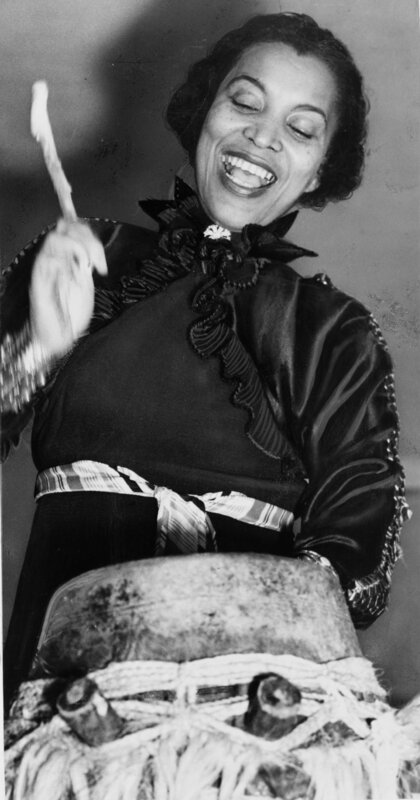 Zora Neale Hurston was born on January 7th, 1891. Growing up, she sought out knowledge. Thus, when her father could no longer pay for her education, Zora still sought out ways to obtain an education. In 1917, Zora learned that people of color and under the age of 20 were eligible for free public schooling in Maryland. Although Zora was 26 at the time, her unquenchable thirst for knowledge led to fabricating her age, a change that would stay with her throughout her career. Zora later continued her education at Howard University and then enrolled in Columbia University as a graduate Anthropology student. Her work in Anthropology highlighted the culture, strife, and daily lives of African Americans in the south. She became known for writing in "black voice," a style that tells the perspectives and stories of black Americans. Zora's work is immortalized in her many books, the most famous of which are "Their Eyes Were Watching God" and a posthumous book, "Barracoon: The Story of the Last "Black Cargo". Even in the 21st century, women are still finding new barriers to break. Capt. Elizabeth A. Okoreeh-Baah became one of the first women to graduate from the Naval Academy with a Marine Corps aviation contract. Capt. 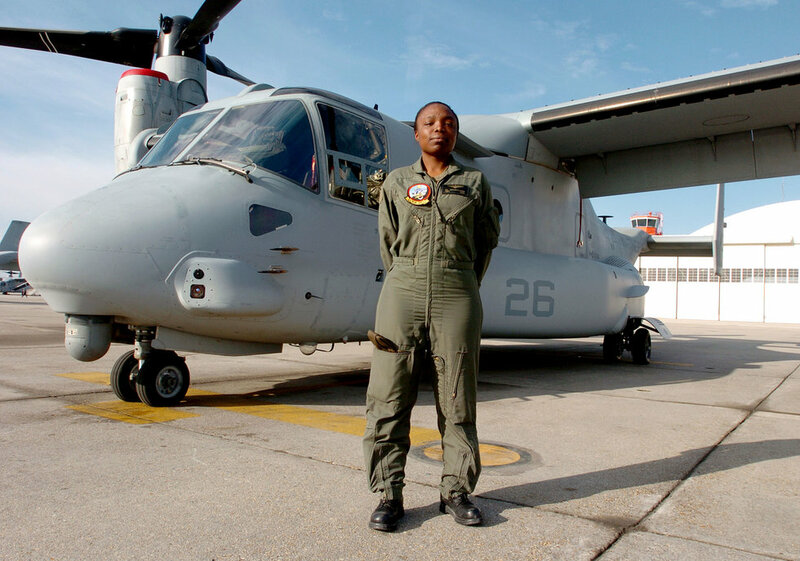 Okoreeh-Baah, a Nashville, TN native, is also the first woman to become an MV-22 Osprey pilot. This feat is incredible because her predecessors have often referred to flying that aircraft as "thinking a man's game." The aircraft has one of the broadest mission spectrums in the USMC, as well as the ability to shift from different modes including helicopter and airplane mode. Nonetheless, Capt. Okoreeh-Baah joined the rank of few men and no women before her by commanding the Osprey aircraft. Honor and glory were important elements of samurai culture. Women played a minuscule role in that culture. Although women of status were taught to fight, they were trained to protect their estate in desperate times from bandits and for self-defense. 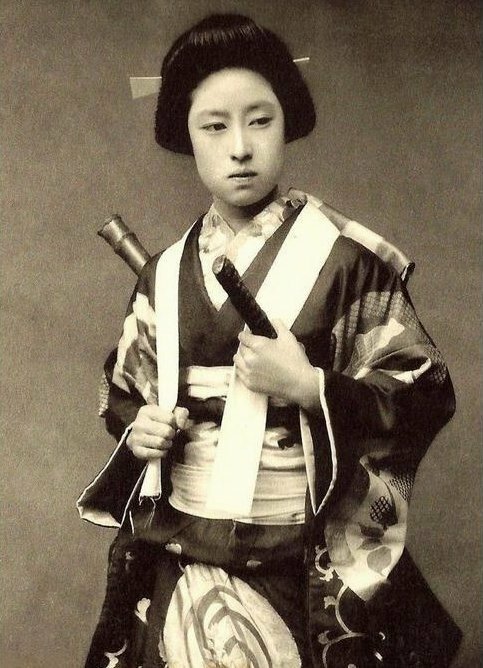 Nakano Takeko, the daughter of an officer, pushed far beyond the boundary of fighting simple bandits. Takeko fought against Imperial forces in the battle of Aizu. Although women were not allowed to fight, she raised an army of over 20 women, including her mother and sister, and led them in participating in breaking the siege. Takeko killed nearly half a dozen enemies while engaging in a counterattack. Her swordsmanship was truly exceptional, therefore the Imperial forces shot her in the chest. Takeko requested her head be decapitated and buried as her head would have been seen as a trophy. Every autumn, there is a festival in Japan celebrating her likeness and her union of strong-willed women. Rebecca Lee Crumpler was born a free African American in 1831 in Delaware. She was raised by her aunt, a neighborhood caretaker, in Pennsylvania. Thus, Crumpler grew up watching her make a great difference to those with ailments. With that inspiration, Rebecca moved to Charleston, Massachusetts in 1852 and worked as a nurse for nearly a decade. As formal schooling for nursing had not opened yet, she was able to perform her medical duties. Nonetheless, Crumpler went on to enroll in the New England Female Medical College. 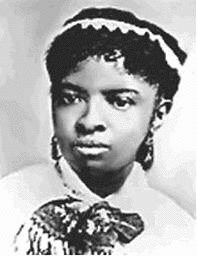 Her 1864 graduation made her the first African American to earn an M.D. degree. In 1865, she moved down south to offer medical assistance to newly freed slaves that otherwise would not have had any. Her medical journals and books survive and are still read today. 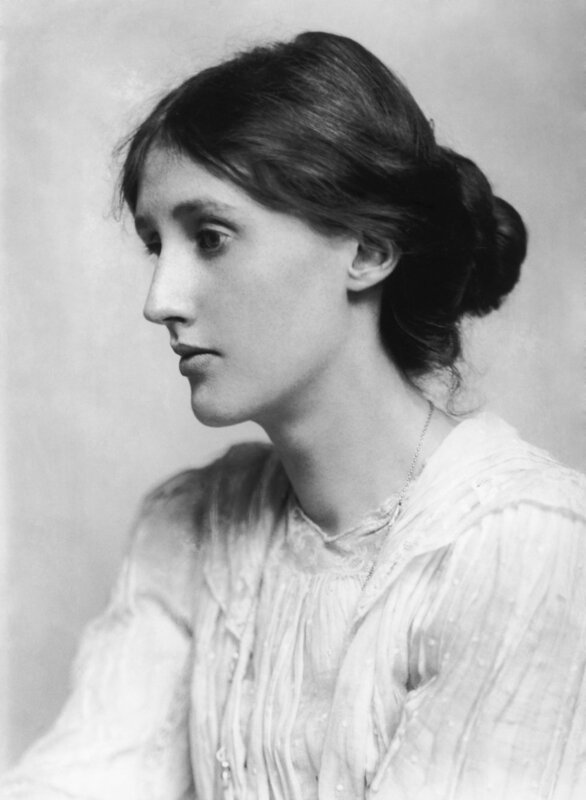 Virginia Woolf was a British author who created her content during the early 1900s. She was known for her balance of "granite and rainbows" meaning she often liked to merge fact and fiction within her novels. A Room of One's Own and Mrs. Dalloway are among her most famous novels. However, Woolf was also a pioneering essay writer who wrote many works on history, politics, and women's improvements. Virginia experienced many tragedies in her life. Often, these events left her unable to write. Nevertheless, Virginia was determined to persist in her craft. At the end of her life, she left behind six volumes of letters, six volumes of diary entries, multiple journals, and a multitude of essays. She overall played a key role in shifting how writers approach a narrative. Nanyehi, known in English as Nancy Ward, was a Cherokee ghigau, or an honorable woman. She often went into battle with her husband and chewed the lead for bullets to give his ammunition harsh ridges. However, during a battle against Creeks, her husband was fatally shot. Nanyehi grabbed his rifle and took his place on the battlefield. 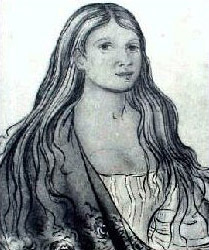 She proved to be a key asset to the Cherokee warriors. Post-war, she was elevated politically to multiple counsels. Her powers included carrying out and negotiating peace treaties with colonizers and deciding if a captive should be spared. Nany passed away before her fellow Cherokee were forced to walk the Trail of Tears. A late-term abortion is a horrible, devastating and heartbreaking choice... but one I'm glad women have. I've seen so many posts and comments and arguments, the crux of them being, "I can't imagine aborting my child after 24 weeks." Well, guess what... The women this law will apply to probably can't imagine it, either. Nearly all abortions occur in the first trimester of pregnancy (approximately 91.1%). This tells us what is (more than likely) a pretty obvious fact: That beyond the first trimester, most women are planning to keep their baby (or give him or her up for adoption). So you can imagine that even being presented with the option of termination would be heartbreaking. Imagine this: You're pregnant and absolutely ecstatic to bring a child into the world. You go in for an appointment at 30 weeks. During the exam, your doctor is quiet. You are growing extremely anxious. They tell you that they have some bad news. Your daughter has a serious condition, one that will allow her to live less than a year. They can perform a c-section, she will be in the NICU for a long time, but even once you take her home, she has an extremely low chance of survival. Her life will be painful. Or, they can perform an abortion. What do you choose? For some, they absolutely cannot fathom the idea of termination. They'd rather take a chance at life. And for some, they cannot even fathom the idea of watching their child live a painful, short life that will end in incredible heartbreak. Both of these are traumatizing decisions. Your pregnancy and your hope for the future and your plans for the child you are so excited for have come crashing down. This is not a lightly made decision. And if you would choose to take your chances, pray for a miracle and get to hold your child in your arms, you should have every single right to. But if you decide that the trauma of terminating your pregnancy without having to fall further in love with your child and watch him or her struggle every day and deal with the gutwrenching pain of losing them, you should have every single right to make that choice, too. This is not cut and dry. This is something that changes from woman to woman, from family to family. But one thing stays the same: Learning that the life that you planned for your baby can no longer be as you desperately hoped is heartbreaking. It is a uniquely horrific feeling that, you're right, you can't imagine. No one can imagine it until they're living it. I write about it and I think about it and I have to assume that there is nothing in this world that can prepare you for it. Posting and commenting that women who choose the path of late-term termination are monsters or killers or heartless is wrong. Picture this: A pregnant woman and her husband, sitting in an exam room alone after learning devastating news about their pregnancy. They're holding one another, sobbing, thinking through their options. Trying to decide if ending their pregnancy, crushing the hopes and dreams they had for their little baby is the right choice, or continuing on and hoping for a miracle but knowing they should prepare for the heartbreak of their lives. Picture them, through tears, while holding an ultrasound photo to their chest, telling the doctor they choose to terminate. Picture them going home, sitting in the nursery they decorated, calling their parents and telling them their grandchild won't be arriving. Are you picturing a couple of monsters? A couple of heartless killers? Or do you see a family put into an impossible situation, trying to make an impossible decision for themselves and their unborn child? A family who threw a baby shower and decorated their nursery and argued over the perfect name for months. Who took progress photos of their baby bump, who talked about what sports their kid would play, who had to hear the devastating news that turned their world upside down? I don't see a monster. I don't see a killer. I see pain, I see hardship, I see love.